Posted June 17, 2016 by Alex Sayers & filed under Competitions, Motorbikes. Every year Ride to Work Week encourages motorists in the UK to put down their car keys and hop on a motorbike or scooter to experience life on two wheels. Posted June 9, 2016 by Alex Sayers & filed under Motorbikes. In the second part of our look at this growing sector of the market, we turn our attention to the rise of the Chinese market. Posted June 2, 2016 by Alex Sayers & filed under Motorbikes. 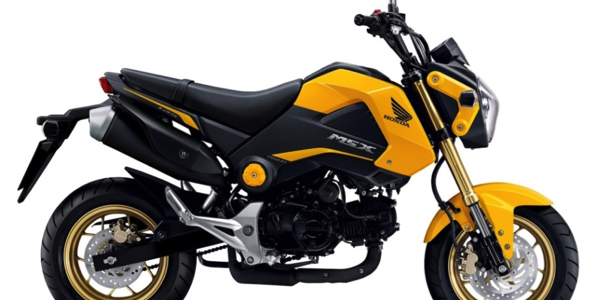 Sales of 50cc to 125cc bikes make up roughly 70% of all motorcycles purchases in the UK. Posted March 29, 2016 by Alex Sayers & filed under Motorcycle Insurance. Invented in France in 1893, sidecars predate the first production motorcycles, as they were originally designed for a newspaper competition to find the best method of carrying a passenger on a bicycle. Posted March 17, 2016 by Alex Sayers & filed under Culture, Motorbikes, Motorcycle Insurance. You might think that you need a Scrooge McDuck-scale money pit to get involved in motorsport, but you’d be surprised at how easy it is to get started without breaking the bank.